At least once a week somebody asks me, “How did you get so many Pinterest followers?” So in today’s post I'm going to share my Top 3 Pinning Strategies. 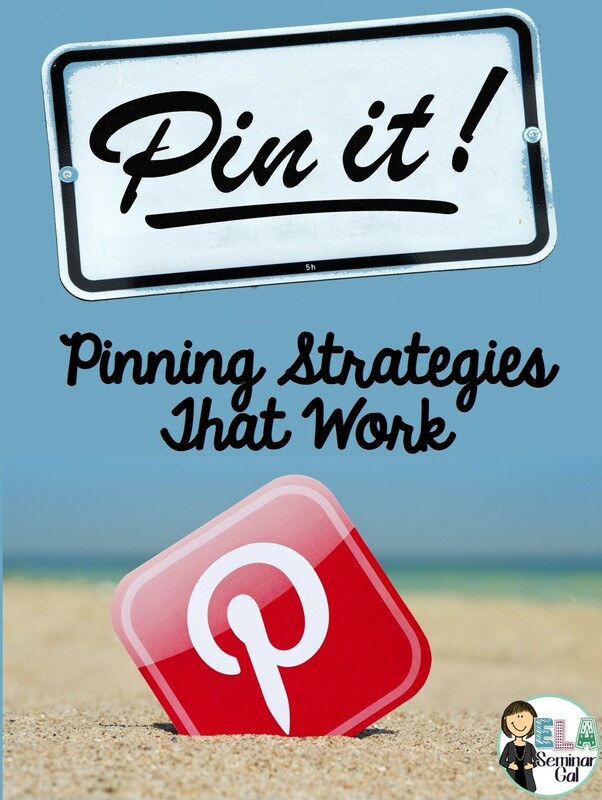 If you follow Pinterest’s formula for creating pins, your pins will be pushed into the smart feed. What’s the formula? It’s pretty simple, actually. 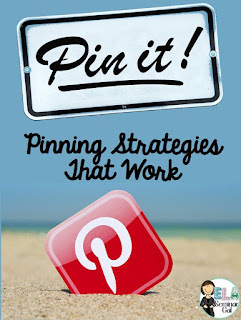 Pins must be 1) helpful, 2) visually appealing, and 3) actionable. Pro Tip: Under your pin descriptions, tell readers why they should repin your content. Then add a link back to your boards or website so that their followers can find you, too. 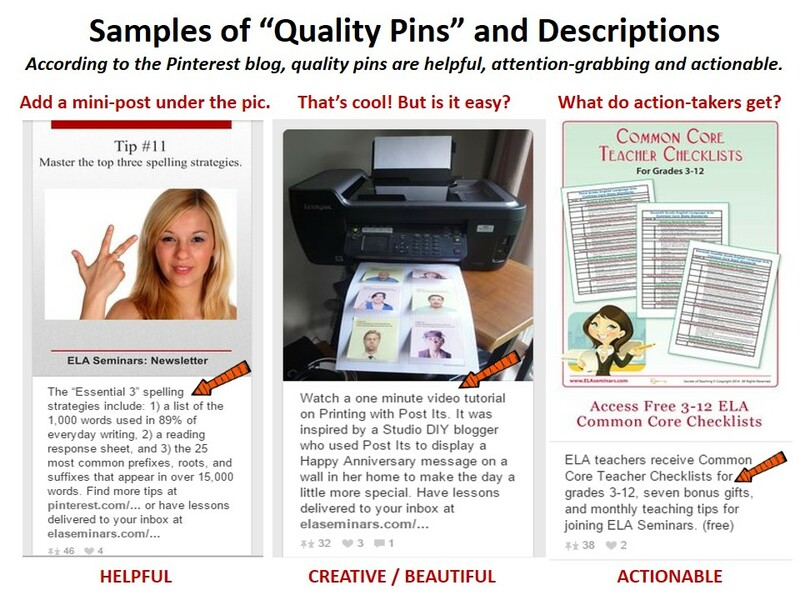 See more examples of pin descriptions with links here. 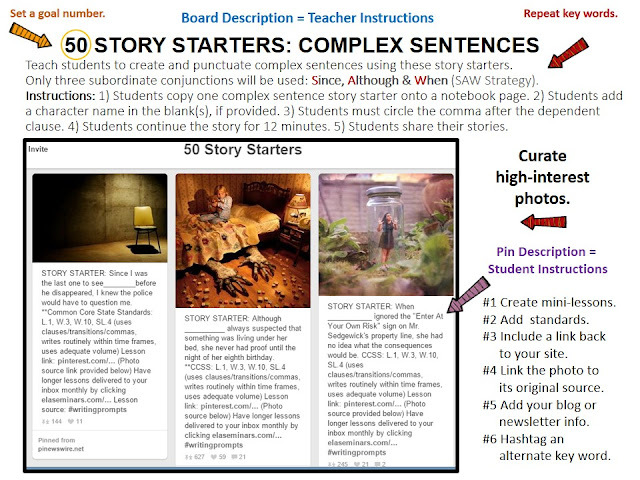 Make a Living Board (one that you add to regularly) which provides value to your visitors. Be sure to add a board description so that Pinterest users can easily find it when they search. Pro Tip: To make your board search-friendly, mention one key word 3x’s in the board description. In the screenshot, I used "complex sentences" once in the title and twice in the description. Here's a link to a board description that regularly ushers traffic to my Post It board. This is, hands down, the quickest way to supercharge your Pinterest exposure. 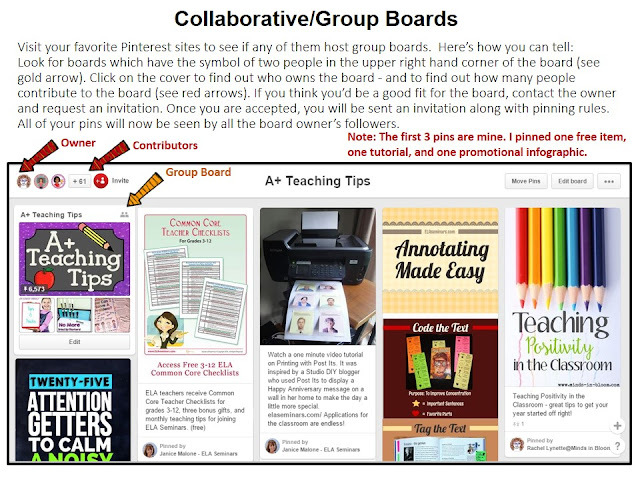 Check to see if your favorite pinners host collaborative boards (boards which have several pinners pinning to them). If they do, ask for invitations so you can contribute to them. Pro Tip: Infographics and videos have high repin rates so consider using them to showcase your favorite pins. I used Pictochart to create Annotating Made Easy, my most popular pin (shown below). It’s easy to use and many templates are free. If you’d like more tips like this, visit: How to Create Pinterest Boards That Visitors Love. And if you have a favorite Pinterest strategy, please share it with us. Happy pinning! This is such wonderful information, thanks for your generosity. Thank you, Patricia, for stopping by. My blog is pretty new so it's nice to know people are reading it! This was very helpful. Thank you for the time you put into these explanations!